Elizabeth is nine years old and small for her age . 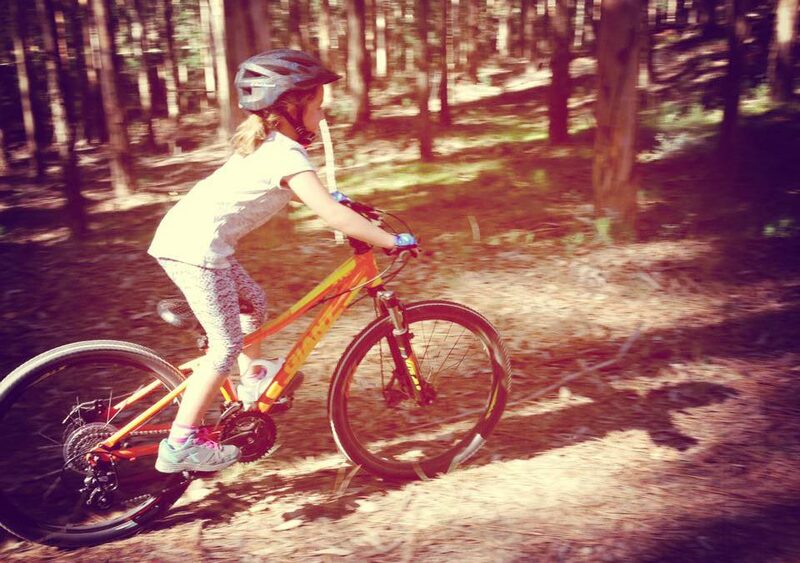 She is just learning the joys and skills of mountain biking . It is not easy for her . But , each time she learns a new skill – to let go of the brakes a little more , to trust in her own ability , she inspires me to be a bit braver , to worry a little less. I let go a little more and relax into the ride. She teaches me you can’t be sad when you are riding a bike . In fact , I love watching her patiently help someone else with a new skill or encourage them and it reassures me I am doing something right as a mom . I hope I am passing on the love of cycling and helping and inspiring others. 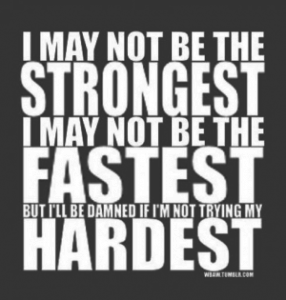 Not to be the best or the fastest but to be always willing to try more . I see myself in her trepidation , when she encounters a new obstacle on the track . And I am constantly amazed at her courage and determination. Sometimes , it is hard and you do fall off and hurt yourself . 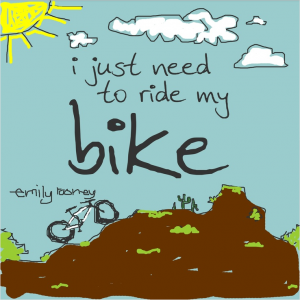 But you just have to get up , dust yourself off and get back on the bike – after a tear or two . And she does fall and get back up and finds something inside her to finish the ride . Invariably a few minutes later she is back at it , enthusiastically trying to bunny hop over a log or puddle ! Her bike is not the lightest and being small it is sometimes a disadvantage – there will always be someone bigger and stronger .But I tell her not to worry – in a few years her size will be a serious advantage to her ! Her lack of height has been made up by her determination and bravery. She is always asking when we are going on our next ride – our keen Bean loves riding with her dad – who is her inspiration and hero ! Long may that last . I hope cycling will be a lifelong passion for her . I will keep on encouraging , while not pushing her to do what she feels uncomfortable with . Together we will keep on pedalling and helping each other find new adventures each ride !